Dr Julie Rowse is a passionate and engaging speaker who enjoys encouraging and motivating others through sharing her experiences and learnings. Over the past 17 years Julie has presented posters, papers and workshops at numerous mental health conferences locally, nationally and internationally. 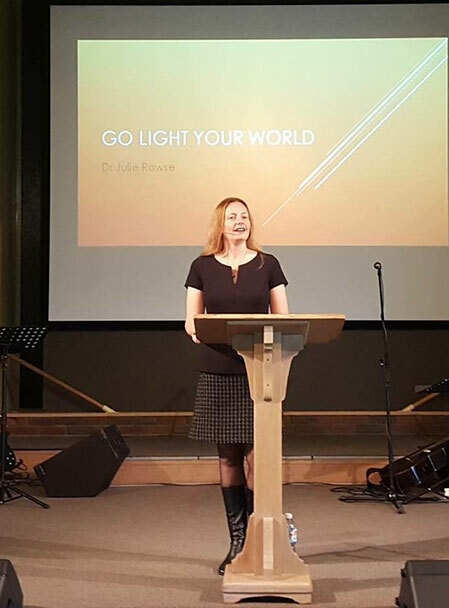 Julie was also an elective speaker at The Journey Women’s Conference 2015 and the keynote speaker at The Journey Women’s Conference 2016. This September Julie will be presenting a paper entitled ‘The use of metaphor to engage young people in mental health treatment’ at the Occupational Therapy 2016 VIC-TAS Regional Conference in Melbourne. If you are interested in Dr Julie Rowse speaking at your organisation or event, please call 0419 35 72 72.